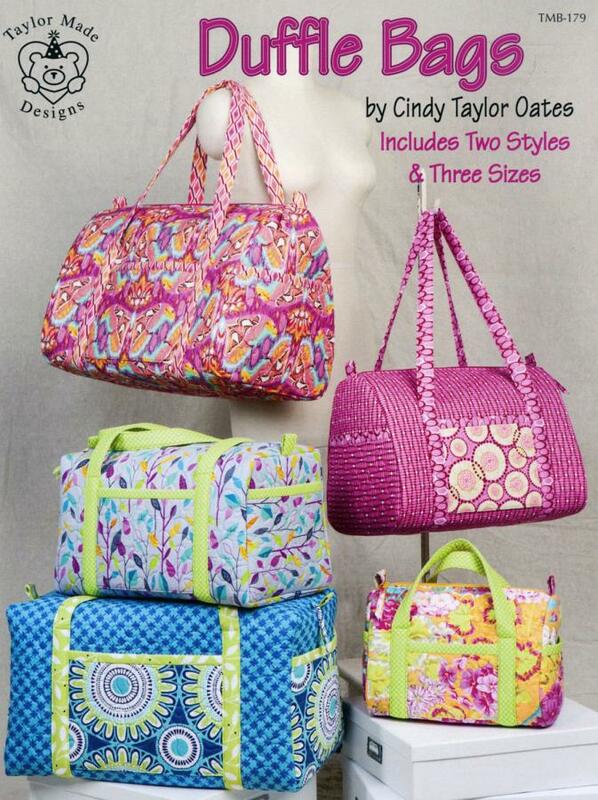 Whether you're traveling to exotic locations or to your local gym, the Duffle Bags pattern sewing booklet by Cindy Taylor Oates will get you there in style. 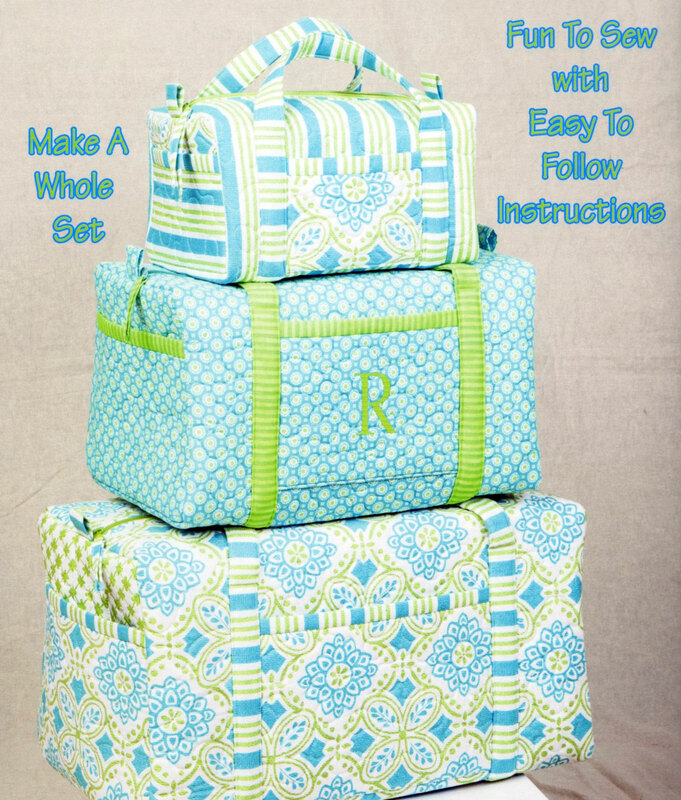 This pattern booklet includes duffle bags in two styles and three sizes that you are going to LOVE, LOVE, LOVE! Choose to use pre-quilted fabric or make your own. Discover how easy it is to make a gorgeous, matching set. Large Duffle Size (squared or curved end) is approximately 11" x 11" x 20.5". Medium Duffle Size (squared or curved end) is approximately 9.5" x 9.5" x 16.5"
Small Duffle Size (squared or curved end) is approximately 6" x 7.5" x 11.5"
For these projects, Cindy recommends Wonder Clips and Soft & Stable if you are making your own quilted fabric. I just started making my first duffle bag and this book is just wonderful! 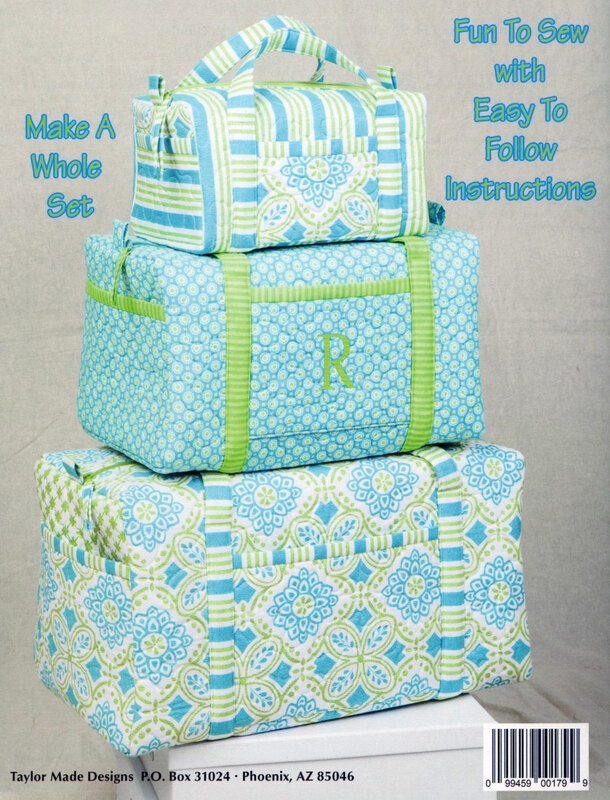 Such cute bags and the directions are so clear it's unbelievable! I would highly recommend this book as it is written so well and the bags are so cute! I'm an experienced sewist, but I still appreciate clear concise directions and this book has them. Thank you. Great book.Easy to follow directions. Multiple bag sizes and shapes. Sizes good for week-end travel. I enjoyed making the ruffle bag. It was a good pattern with easy instructions. I like the look of the bag; the medium sized one should be good as a carry-on travel bag. I've read the instructions, but not yet made the bag and will construct it a bit differently by making the lining separately from the bag exterior because: 1) as written the lining and exterior are quilted together and quilting stitches on the interior of the bag can be snagged by the bag contents and start coming undone. 2) directions as written leave the seams on the side pieces unfinished on the interior except for binding at the top near the zipper. I prefer enclosed/finished seams for all interior seams because those left "raw"/unfinished start to unravel/shred with use/time.